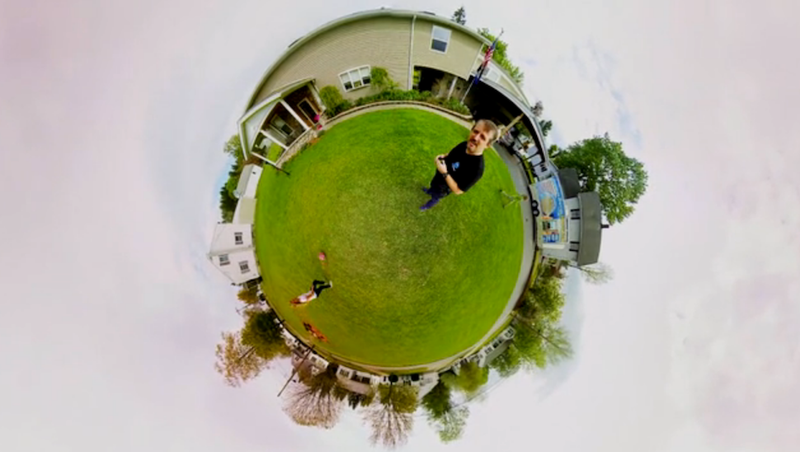 If we can agree on one thing, let's agree on this: 360° videos are unbelievably awesome because they completely immerse you into the video itself. Actually, video isn't even the right word for them because 360° videos fully capture everything around you, below you and above you—they're a recording of real life. But the problem has always been the amount of work, money and time to get 360° videos right. It just took too much. 360Heros wants to make it easier. Maybe even too easy. 360Heroes has created a camera stand that allows you to simply slip in GoPro cameras into the right spot so you can immediately capture life at 360°. Typically, one camera has a viewing angle of 170°, if you combine more, you get a wider viewing angle. But even most 360° camera rigs right now don't capture in full 360°, they're limited to 120° vertically. With 360Heros 360 Plug-n-Play holders though, you get a full 360° horizontally and 180° horizontally. You see everything. The 360Heros 360 Plug-n-Play holders are made from aircraft grade flexible nylon that house 6 different GoPro cameras to create the all-seeing eye. The stand has various mounting points for tripods and even tiny fish line holes to suspend the housing in the air (like with a drone). It's starting as a Kickstarter project right now. You can support them here.